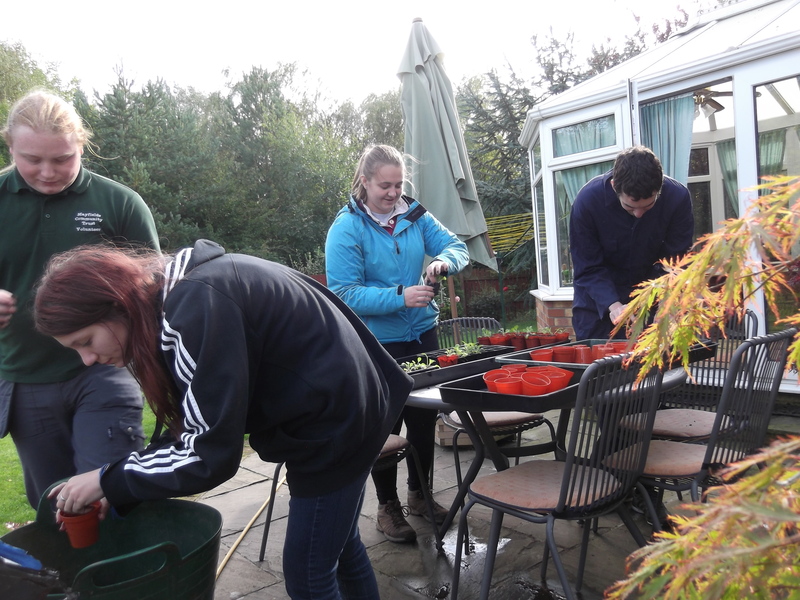 We have had more very helpful volunteer sessions on Thursdays and Sundays, with 3 Askham Bryan students on work placements with MCT (Ellie Umpleby, Lauren Dodd and Thomas Goodridge) and Adam Cousins and Mike Ridealgh. They did a first class job planting out dozens of Foxglove and Red Campion plants that they had potted on earlier in the year and in pruning willows overhanging the path. You can see a lot more on our Facebook page. 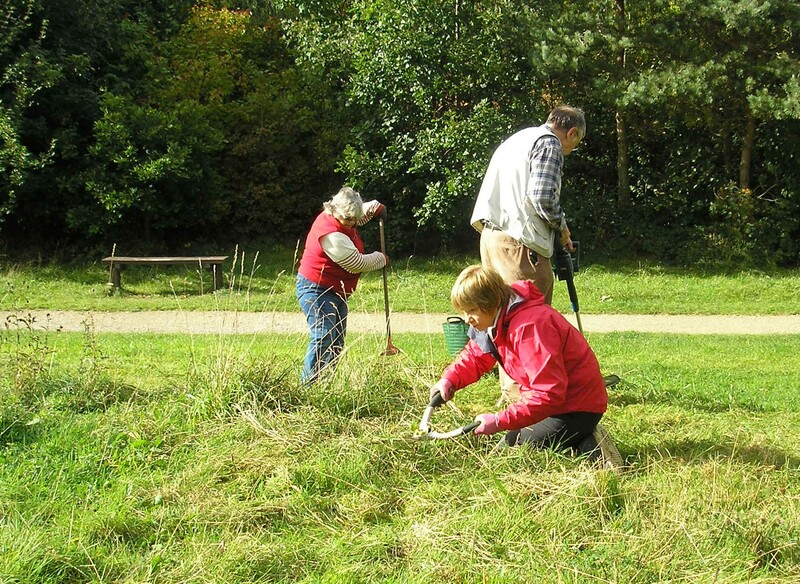 At this time of year we also move lost of leaves from the path and trim the meadow ready for winter. The Mayfields Community Trust AGM was held at 7 pm at the Marriott Hotel on the Tadcaster Road on Wednesday 12.10.2016. It ends with a half-hour video diary film showing our volunteers’ work over the past 12 months that was well received by the audience. We had an excellent volunteer session on Thursday, with 3 Askham Bryan students on work placements with MCT (Ellie Umpleby, Lauren Dodd and Thomas Goodridge) and Adam Cousins. They did a first class job a.m. pricking out and potting on Foxglove and Red Campion seedlings, and in the afternoon thinning an overgrown Willow, Hazels and Field Maples near the gate. Our Sunday session on Oct. 2nd moved to the afternoon when it’s a bit warmer and grass is drier. Pam as ever caught Margret, Lesley and Malcolm trimming another section of the meadow. 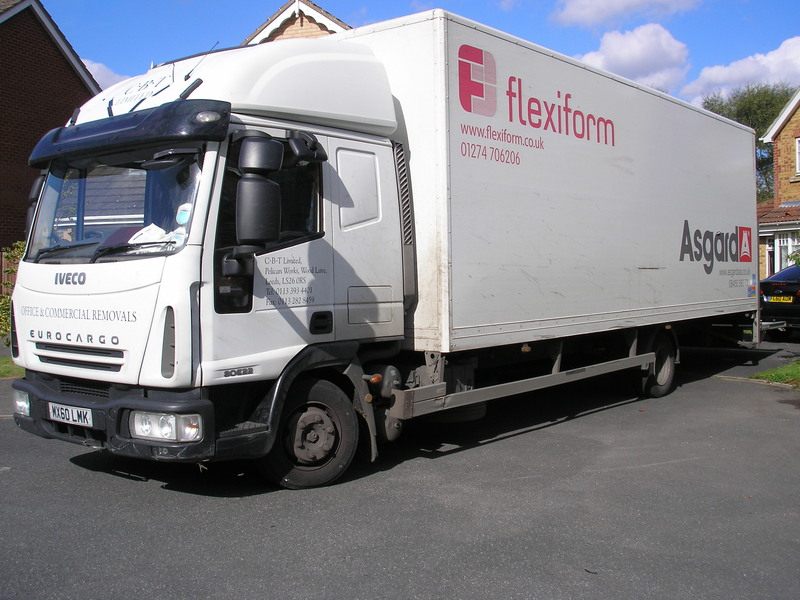 Afternoon of 22nd September was exciting, with delivery of the MCT tool store from Asgard. Thanks for the photo Pam. We should soon have pictures of it up on the site too. Meanwhile you can see it in a mini-video on our Facebook page. 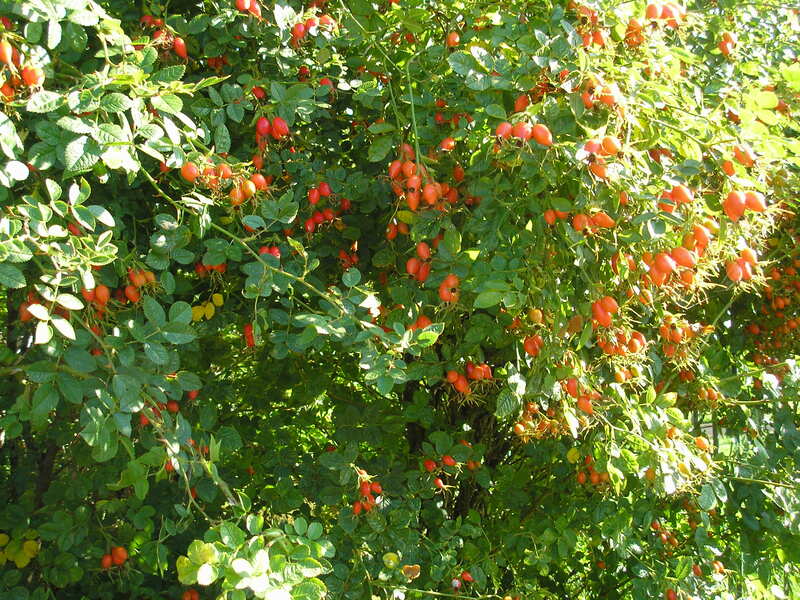 Here’s another Pam photo, this time of rose hips. We manage our pruning to leave as many as possible as a source of food (not just because they are lovely to look at). We were delighted to welcome Ellie and Lauren, 2 new Askham Bryan volunteers, to our Thursday session on 22nd. 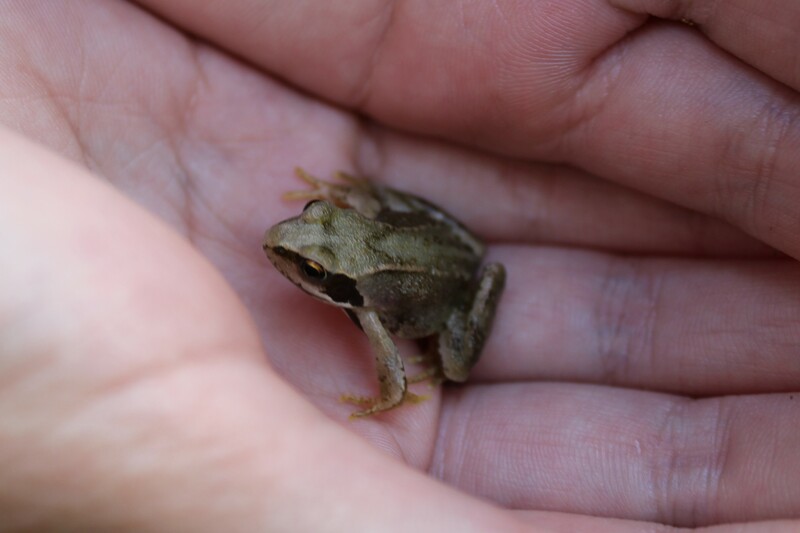 We’re always on the look out for new volunteers, but also, when working on site, for easily hurt wildlife – sometimes we have to move little frogs for their own safety. Adam caught this one on camera. Mike, Adam and Malcolm improved conditions for a couple of the best Scots Pines on the site adjacent to the Oaks below on Thursday by trimming more hazels and a couple of very leggy birches. Mike took the opportunity to photograph some of the Fauna in the vicinity – you can see more on the Mayfields Community Trust Facebook page. 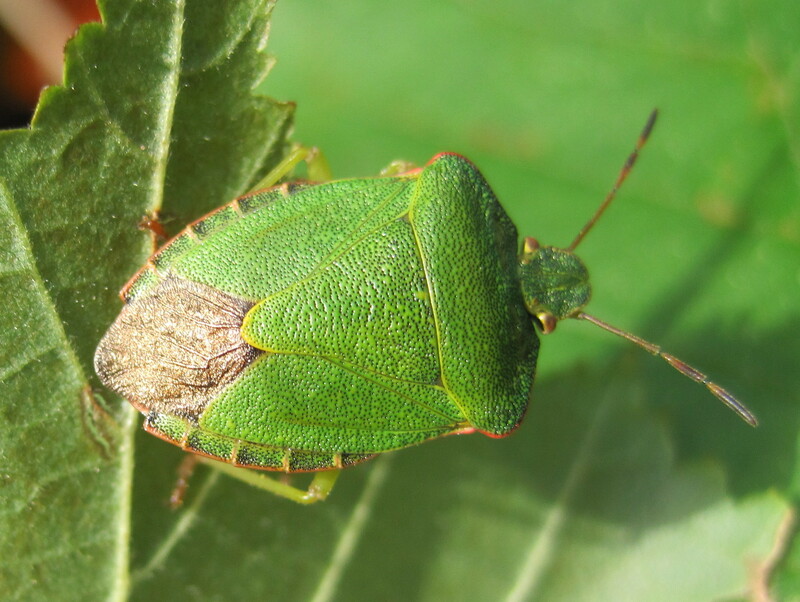 A Green Shield Bug on Mayfields North, 08/09/2016. 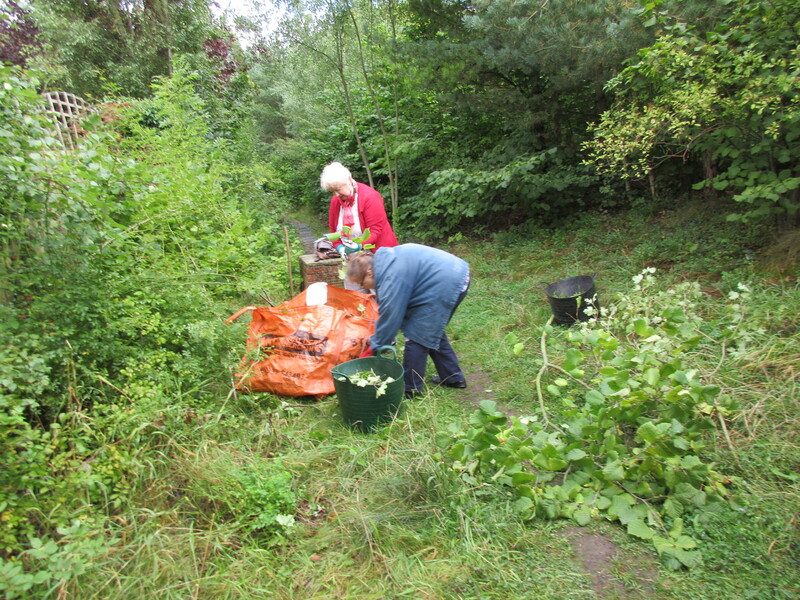 There was a short MCT volunteer session on Sunday morning, 4th September, while the rain was minimal. 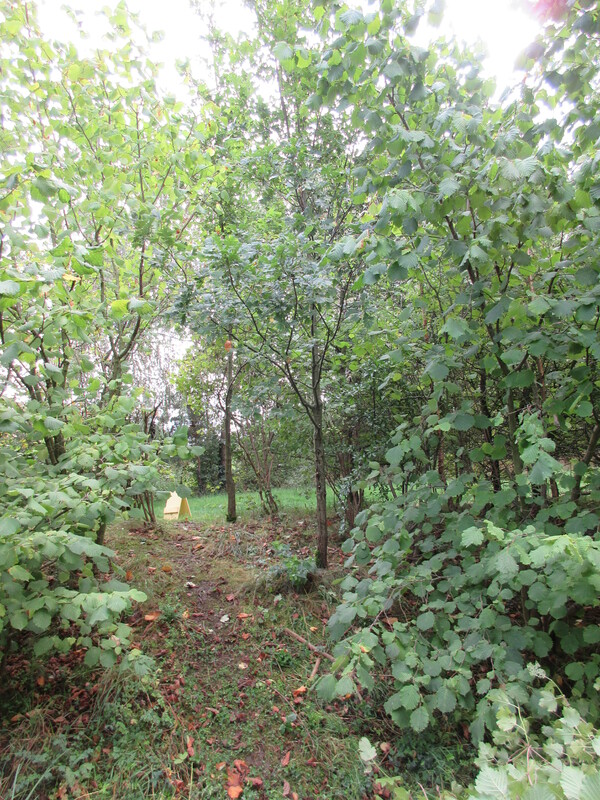 Four MCT volunteers worked behind west bund (between the path and Goodwood Grove gardens) to reduce Hazel and Guelder Rose competition for 2 oaks we wish to maintain as attractive trees over the longer term. Later we incinerated treated and dried Japanese Knotweed that we have been eradicating from the area adjacent to the MCT-managed site for CYC. 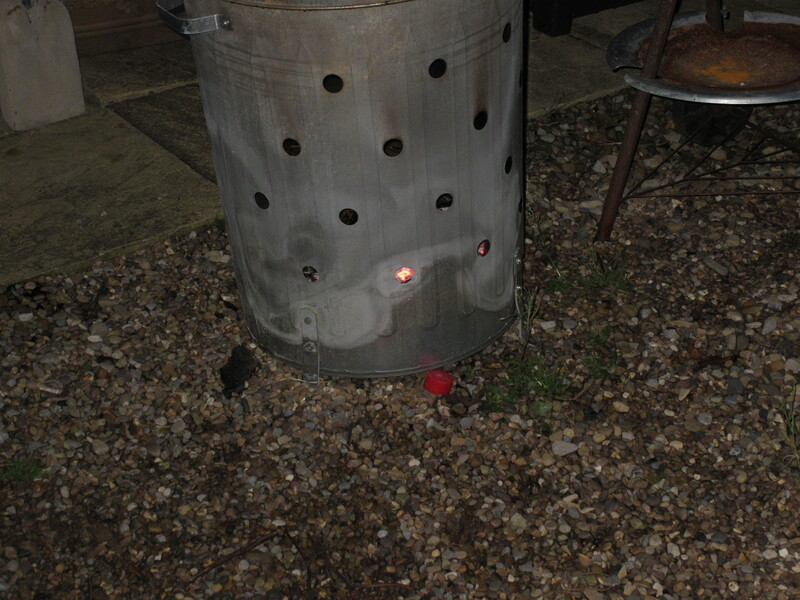 We also incinerated the Himalayan balsam also removed from the site.